Happy Monday to you all! In my head, we are having a glorious spring filled with the smell of honeysuckle and gentle breezes warming things to a moderate 70 degrees. The reality is that we are in a dust bowl with winds around 50mph and gusts reaching into the 70mph zone. Temps in the 90s already with occasional days of 30 dropped here and there to keep us nice and crazy. I kind of forget why I’ve lived here so long. Are the sunsets really THAT great?! So the perfect spring in my head has lovely desserts enjoyed on front porch swings. I can think of no prettier dessert than a strawberry shortcake. I’m a bit picky when it comes to this dessert. At the grocery store, they like to group items together so you’ll immediately think of a particular dish and buy every ingredient. So, since strawberries are officially in season, you’ll see strawberries and angel food cakes set out next to each other in the produce section. Strawberry shortcake does not involve angel food cake. 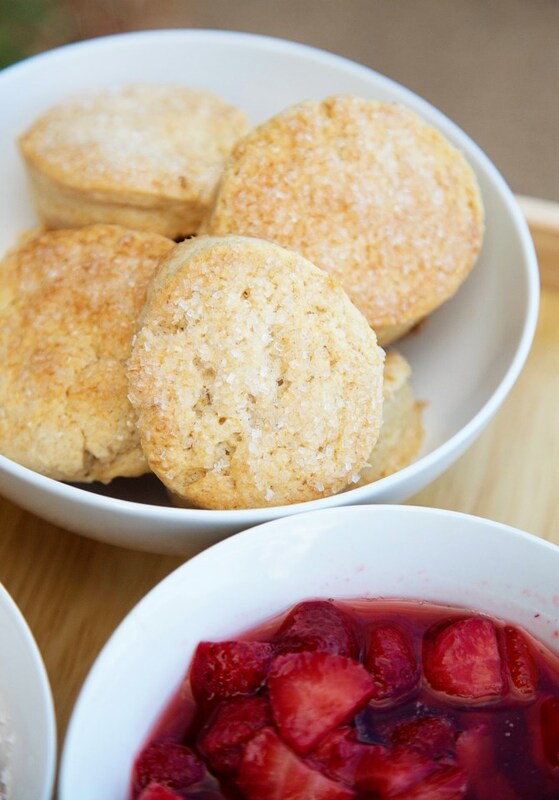 Shortcake, shortbread – the “short” refers to the strands of gluten in the dough, making the final product dense and crumbly like a scone. There’s not a lot to hold this bread together. If you had long strands of gluten, it would make the bread chewy like bagels, pizza dough, etc. So there’s your short lesson on shortbread. 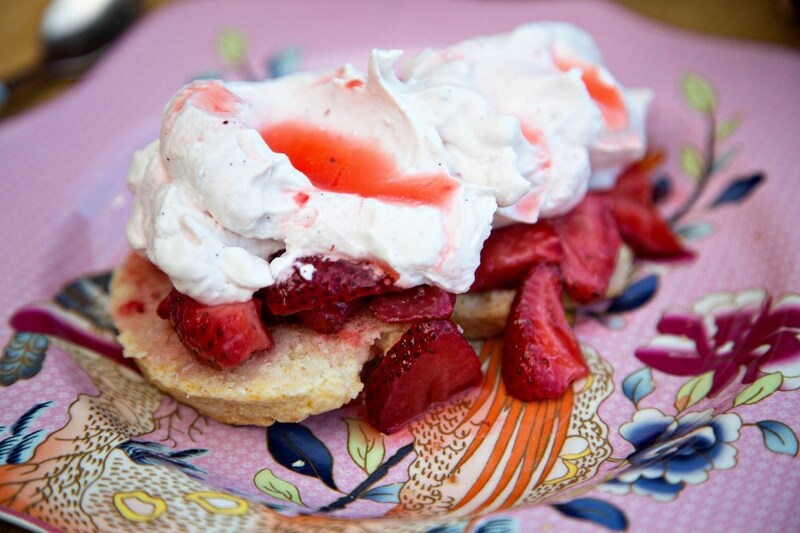 For my ultimate strawberry shortcake, I took my mother’s biscuit recipe and replaced the buttermilk with heavy cream and added vanilla and a tablespoon of sugar. I also used lard instead of shortening and I absolutely think it turned out to be the BEST base for the BEST strawberry shortcake I’ve ever had. Matt, who really would never prefer a fruity dessert over say, a chocolate one, commented a FEW times on how good it was (he is not generous with his exclamations). My dad, who got to share this dessert with us and who IS generous with exclamations, was reduced to a silent appreciation while he ate. It will change your very nature, it’s so good. I’m generous with dramatic statements. 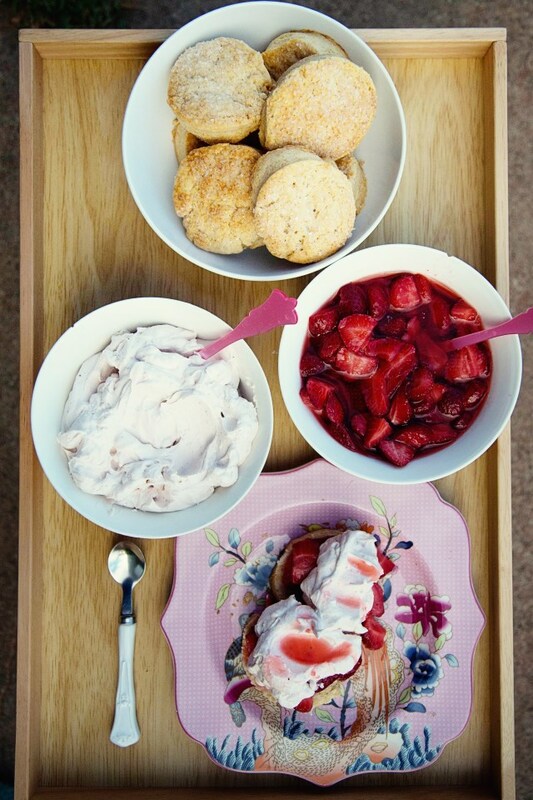 So try it out – I’ll give you the quick recipe for every component but the shortcake was the star. Take advantage of strawberry season and those glorious, $2 huge containers while you can. And if they are beginning to look like they’re going to go bad, chop them up, drizzle some sugar and lemon juice on them and in a day you’ll have the perfect strawberry concoction to use for this recipe! In a large bowl, whisk together your dry ingredients and then cut the lard in with a fork or with your hands until it resembles coarse, crumbly sand. 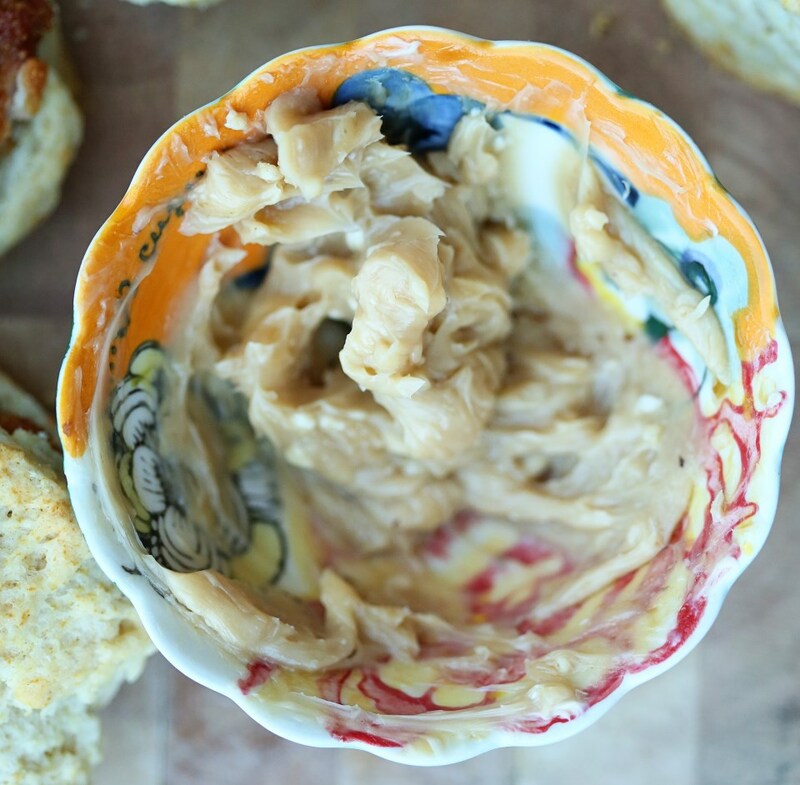 Mix in the cream and vanilla until the dough holds together when pressed between two fingers. 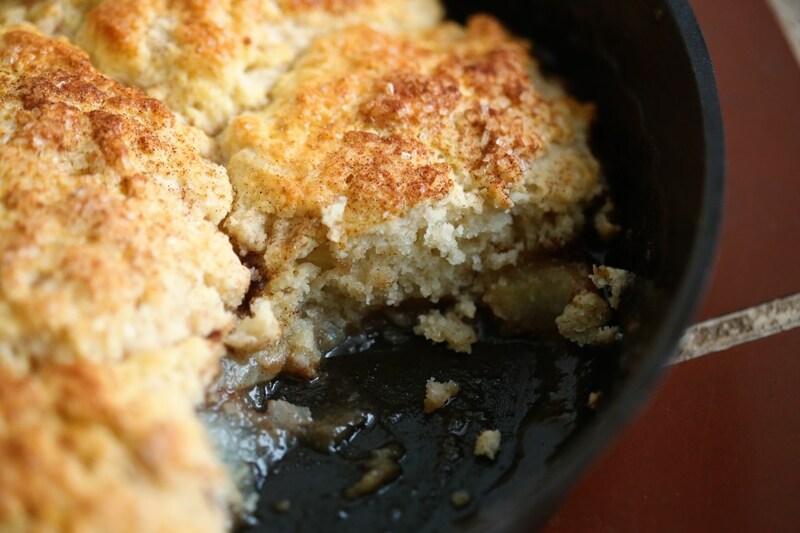 If it’s still pretty crumbly, even after kneading it in the bowl a couple times, add a splash or two more. By not weighing the flour, you may end up with more or less flour than I did. I should have weighed it. Apologies. On a lightly floured surface, knead the dough a few times, form into a ball and roll out into about a 1/2″ disk and cut out rounds with a biscuit cutter. 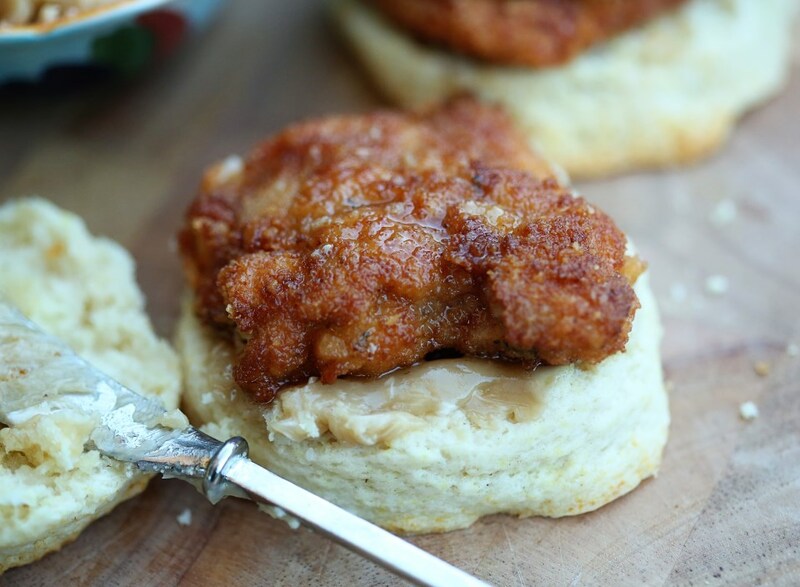 Place on a greased cookie sheet and brush the tops of the biscuits with melted butter. Sprinkle the tops with coarse sugar and bake for 20-25 minutes, or until golden brown. 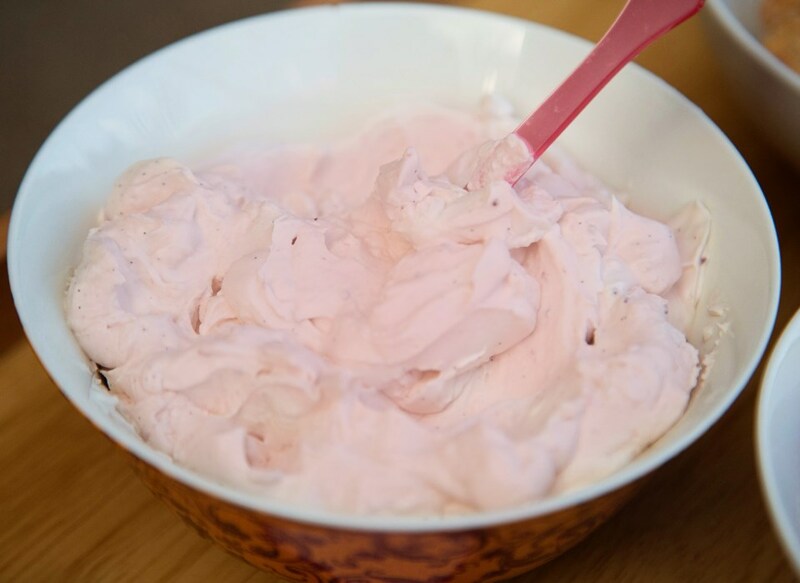 In a large cup with an immersion blender or in a stand mixer fitted with a whisk attachment, add the heavy cream, strawberries and juice and blend until thick and creamy. In a large bowl, combine all the ingredients and let the strawberries sit at room temp for a couple hours or in the fridge over night. 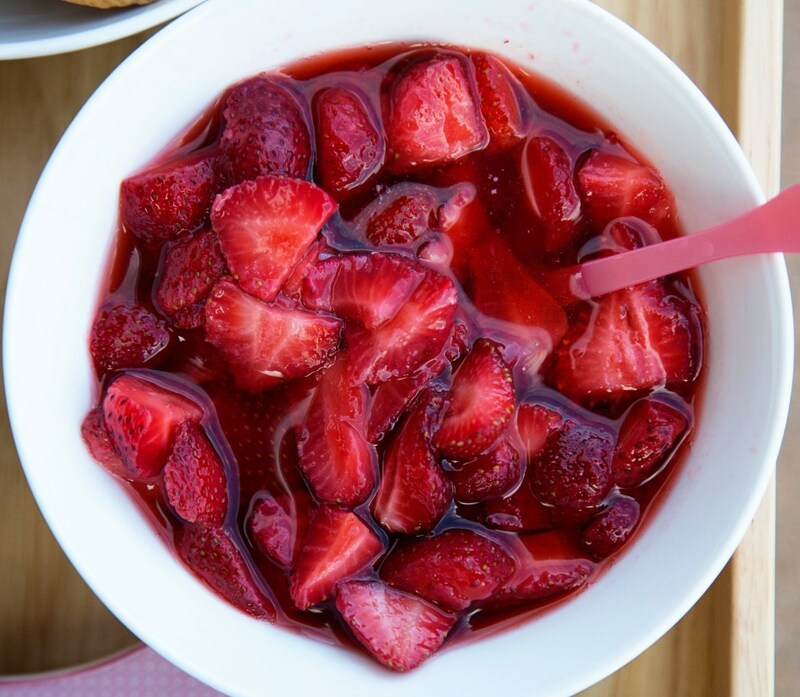 Stir once – the strawberries will release juices and form a glorious syrup with the sugar and lemon juice. 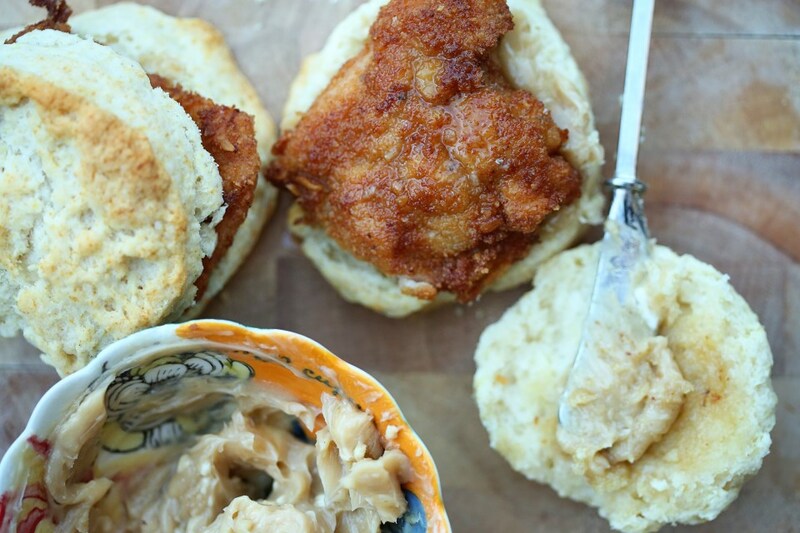 I’m loving other foodies’ blogs this week. After signing off of eating out for Lent, this week I decided to make nothing but food from amazing recipes I saw on Pinterest or other blogs I follow. 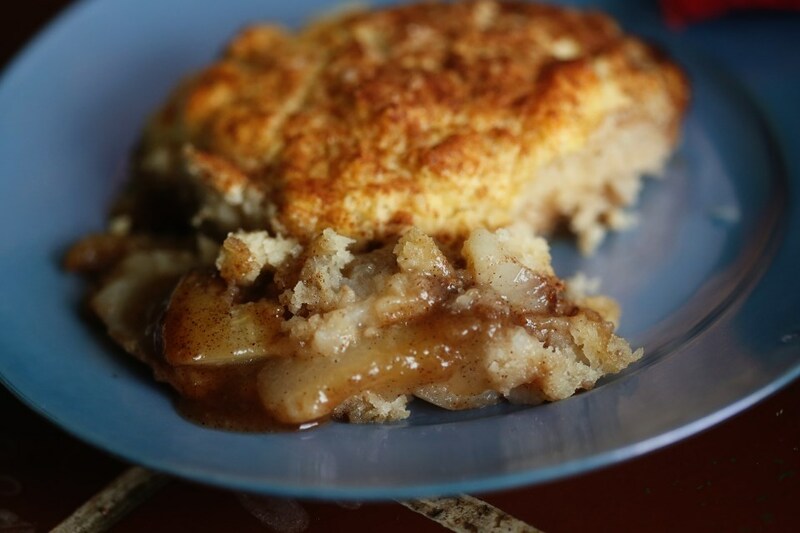 Today’s main recipe comes from Joy the Baker’s amazing blog. I saw her recipe for tomato cobbler and blue cheese biscuits on Pinterest and I wanted it THAT VERY SECOND. The recipe takes almost two hours, start to finish, so I had to save it for a night where we weren’t running around. That night was tonight and I absolutely loved this dish. 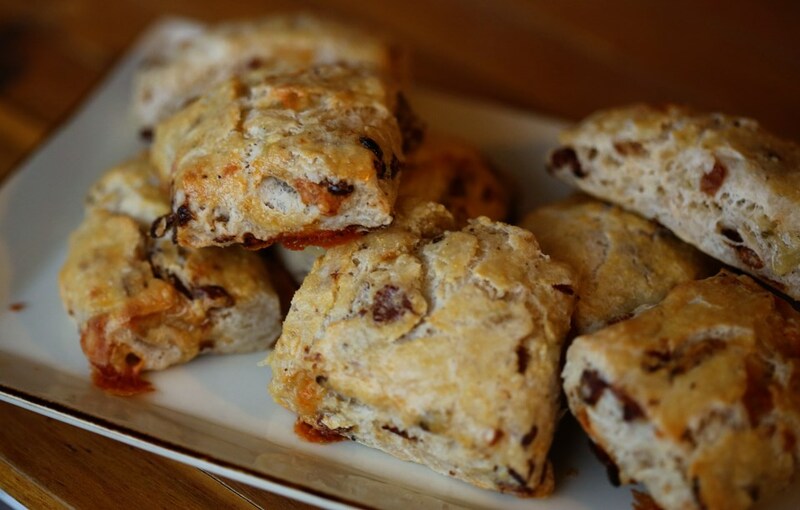 Sweet and tangy roasted tomatoes, caramelized onions, sweet basil and peppery, blue cheese biscuits…honestly, I can’t think of a more perfect combination of flavors. I just thought this was a beautiful dish before it was baked! Here’s the simple method I used. Thanks, Becky for the inspiration! 3 small fillets of white fish – cod, tilapia, mahi mahi, etc. 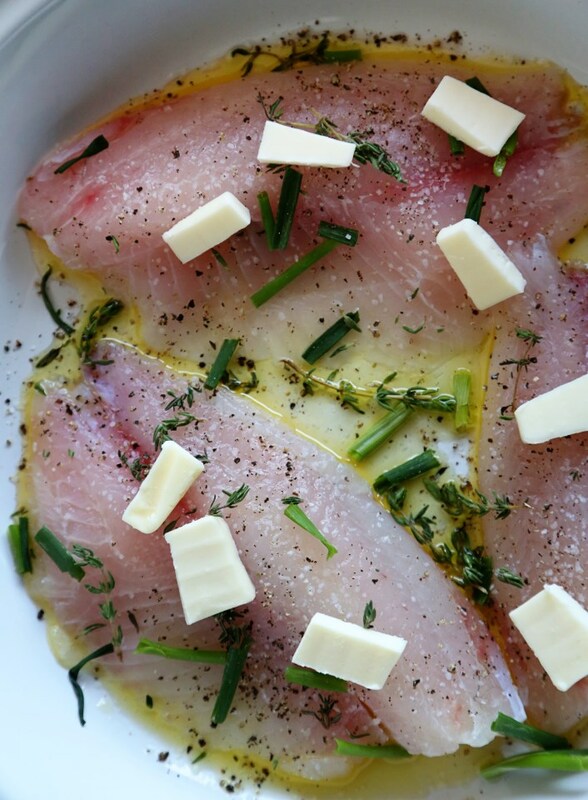 In a shallow baking dish, spread the olive oil around and place the fish on the oil. Season fillets with kosher salt and pepper and sprinkle the snipped herbs all on top and around the fish. Dot the top of each fillet with a couple pieces of butter and bake at 375F for 15-18 minutes, until fish flakes apart easily. Serve with a squeeze of lemon if desired. Olive inhaled her fish, as it is a bit of a comfort-food item for her by this point. I make fish every week. Familiarity breeds comfort. Serve your kids something covered in herbs enough and they’ll eventually not balk at it. You think your kids wouldn’t eat this meal? I disagree! I think eventually they would. I have watched over the past couple weeks as Olive has really come into a “grown-up” phase of her life where she MUST assert her own authority over things at ALL TIMES. It’s fine, it’s normal, but I can see where this point in a toddler’s development would create a negative environment around food, trying new foods or even just mealtimes in general. Here’s what we do: Every meal, whatever we’re having, I put a tiny portion of each component on her plate. I tell her what each thing is and then I back away. Don’t even pay attention. Make small-talk! The only time I intervene is when she hasn’t tried a particular component and I encourage her to. Not shockingly, this is the only time during dinner she protests. She doesn’t want to be told what to eat. Do you? I really should back off in this area even more. So we just say she has to taste it. Or simply smell it! After a smell or a tiny lick, she will 99% of the time decide to eat it. We emphasize that she doesn’t have to like it, but we DO want her to just taste. If she doesn’t like the taste, that’s fine, and she can spit it back out if she wants. It’s working! We have had upsets. We’ve had back tracking. We’ve had days where the girl will literally only eat a cracker and declare herself “all done” and get up from the table and leave and not even come back for fruit. We have had days where she cries because I tell her she can’t have dessert first. Most of the time her fighting is on days where she really doesn’t have much of an appetite. So I let it slide. I think the most important thing you can do to get your kids to eat what you serve is to STOP ACTING LIKE YOU CARE. And more importantly, if they don’t eat it, don’t serve them something else. 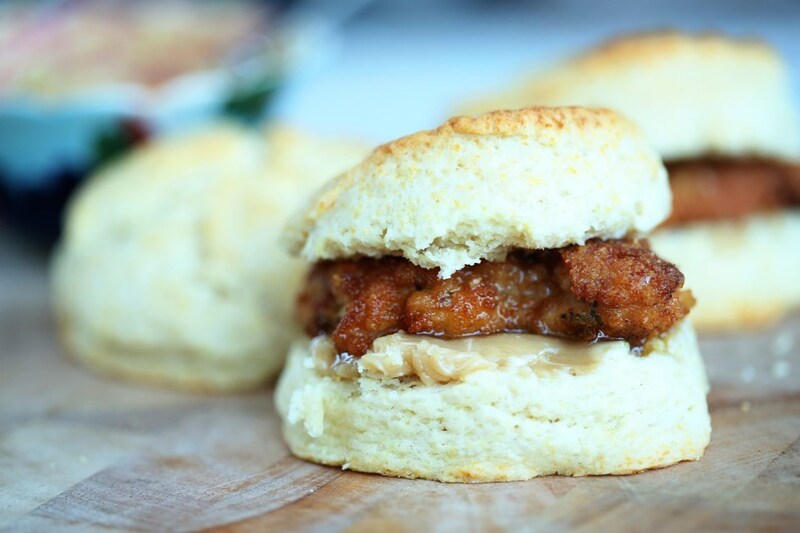 Don’t go to the kitchen and short-order them a side of PB&J. I always make sure there is something on the table I know Olive likes and then the rest is up to her. It’s tough to watch your kid not eat much at a meal. But trust me – they make up for it at the next one! In a medium bowl, whisk together flour, baking powder, sugar, and salt. Add cold butter and shortening. With your fingers, quickly break up the fat into the dry ingredients. Rub the fats into the dry ingredients until well incorporated. Some butter pieces will be the size of small peas, other will be the size of oat flakes. Toss in blue cheese crumbles. Stir to incorporate. Create a small well in the center of the flour mixture. Add buttermilk all at once. With a fork, quickly bring together the wet and dry ingredients. The dough will be rather shaggy. Dump dough out onto a lightly floured work surface. Knead dough about 10 times, bringing it together into a disk. Wrap dough in plastic wrap and refrigerate until the filling is assembled. Add olive oil and butter to a medium saute pan over medium heat. Add sliced onions and season with salt and pepper. Cook and brown onions, stirring occasionally, until caramelized, about 18 to 20 minutes. Add garlic and cook for one minute more. 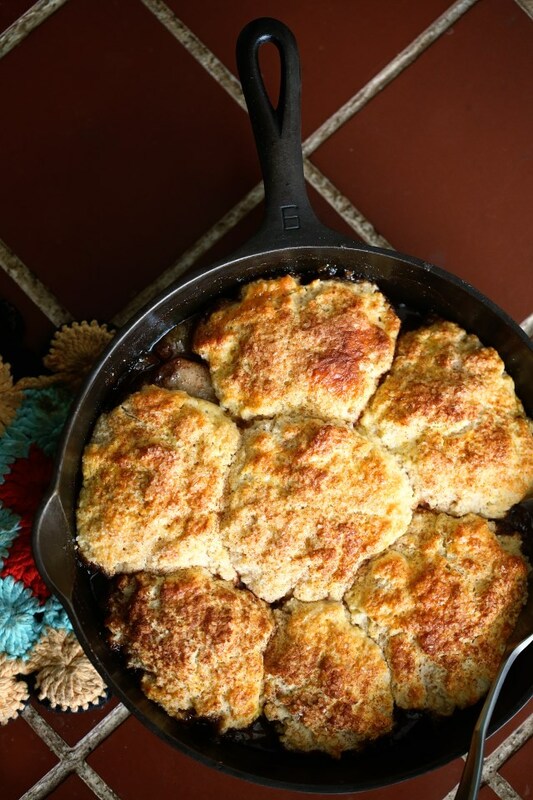 Remove pan from heat, add balsamic vinegar and set aside. In a large bowl, toss together clean cherry tomatoes (no need to cut them), chopped basil, flour, and red pepper flakes. Add caramelized onions and toss together until everything is lightly and evenly coated in flour. Season with salt and pepper. 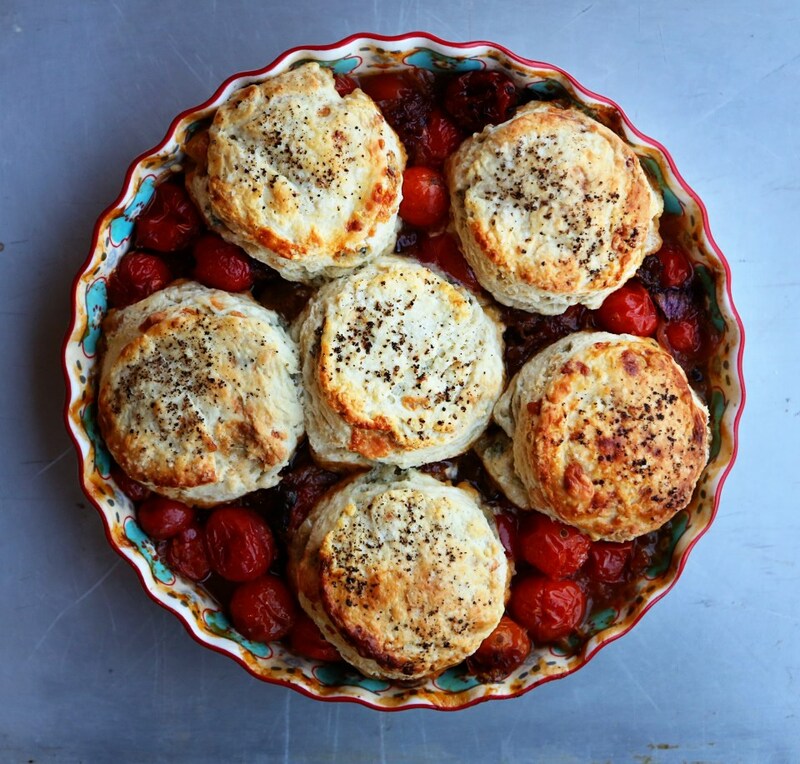 Place rack in the upper third of the oven and preheat oven to 375 degrees F.
Pour the tomato and onion filling into a square 8×8-inch baking dish. Place in the oven and bake tomatoes filling for 25 minutes. 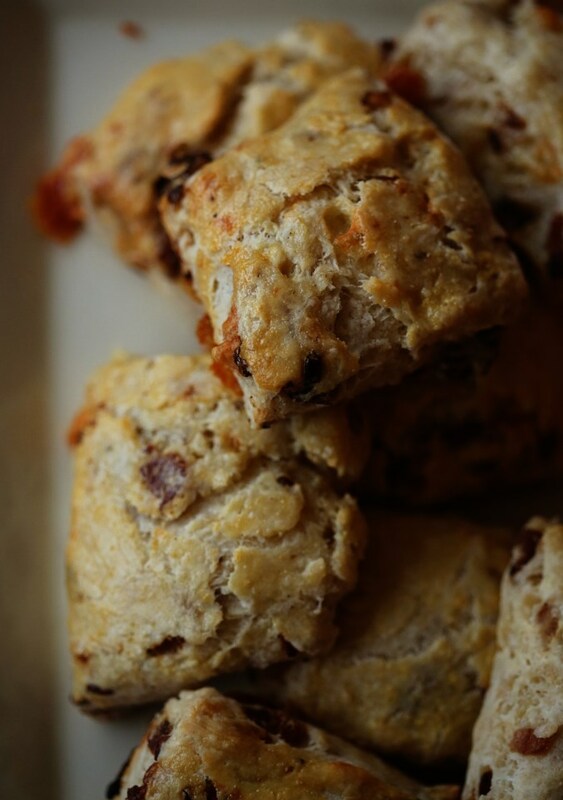 Return warm filling and biscuit dough to oven and bake for 17-20 minutes, until the biscuits are golden brown and cooked through, and the tomato mixture is bubbling. Remove from the oven and allow to cool for about 15 minutes before serving. 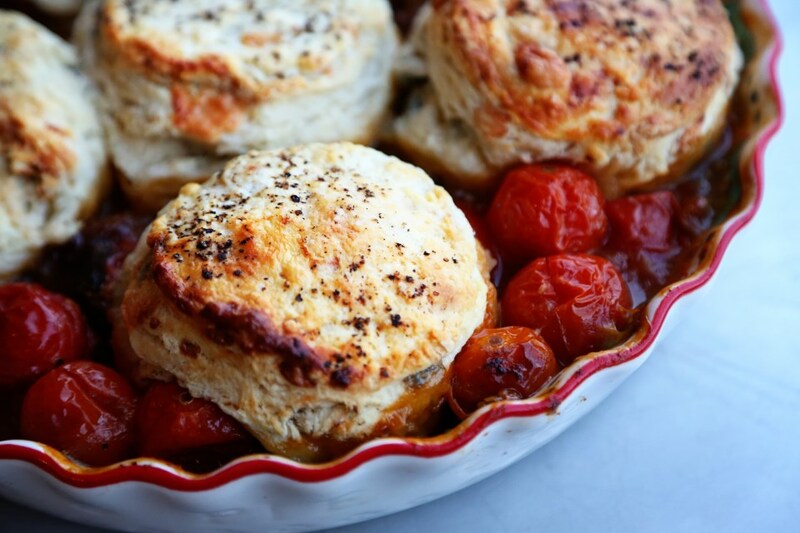 Tomato Cobbler is best served warm.